I need Jesus to wash me and make me his. I want to follow Jesus as His servant for others. I believe I am no worse or better than anyone. 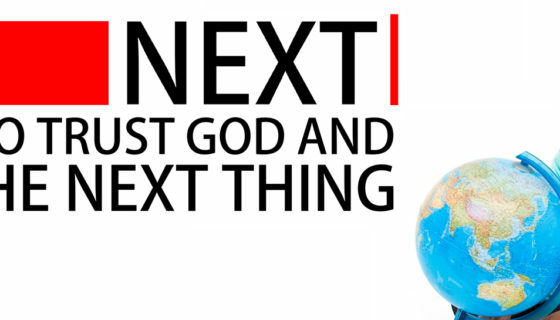 Starting this Sunday, I will begin a series called “NEXT”. “HOW TO TRUST GOD AND DO THE NEXT THING” It is easy to get stuck, frozen in place. Seemingly unable to move forward. Unable to see, think, or trust. Stuck in a rut. Perhaps you know someone who needs something new in their life. They need to get on to the next thing in their life. Next stage, chapter, phase. Maybe you need to do the next thing too. We tell ourselves “I should………. than we don’t or fade quickly. Pro 16:9 The mind of man plans his way, But the LORD directs his steps. No matter how much planning and direction God gives we still must do the next thing God directs. So why don’t we? This Sunday we will explore what holds us back from freely serving God and others and what we can do. Get ready for what’s next. How can insecurity about what others think of you keep you serving others? Share an example. How can pride and superiority hold you back from serving God by serving others? Share an experience. What does this passage tell us about why Jesus had joyful freedom to serve anyone? Joh 13:3-4 Jesus, knowing that the Father had given all things into His hands and that He had come forth from God and was going back to God, 4 *got up from supper, and *laid aside His garments; and taking a towel, He girded Himself. On a scale between 1-10, how well do you know yourself? Why was Peter so shocked and resistant to Jesus washing his feet? What makes disciples so resistant to serving and being served? Why was Jesus willing to serve people he would desert, deny and betray him? What should you do next in following Jesus? Joh 13:12-16 So when He had washed their feet, and taken His garments and reclined at the table again, He said to them, “Do you know what I have done to you? 13 “You call Me Teacher and Lord; and you are right, for so I am. 14 “If I then, the Lord and the Teacher, washed your feet, you also ought to wash one another’s feet. 15 “For I gave you an example that you also should do as I did to you. 16 “Truly, truly, I say to you, a slave is not greater than his master, nor is one who is sent greater than the one who sent him. 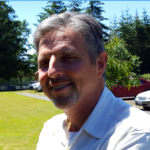 What does it take to be a happy follower of Jesus? Joh 13:17 “If you know these things, you are blessed if you do them. What is one thing God wants you to do next?